Second game in the US pre-season tour and second loss. 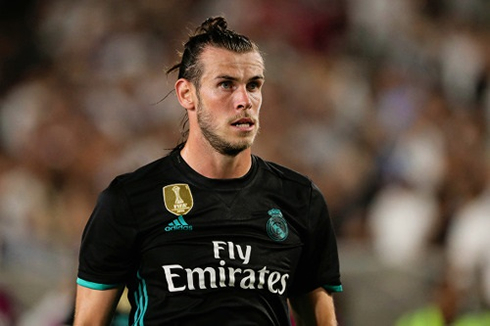 Real Madrid fell to Manchester City this Wednesday night in LA, after being inflicted a harsh 4-1 loss. The Merengues will now lock horns with Barcelona in Miami, this Saturday night. It's obviously too soon to try drawing any conclusions, but the first signs of this year's US pre-season tour are certainly far from what Zidane was expecting after last season's successful campaign. After losing on penalties against Manchester United last weekend, Real Madrid now lost against Manchester City in regular time, in a 4-1 defeat that was built in the second half. 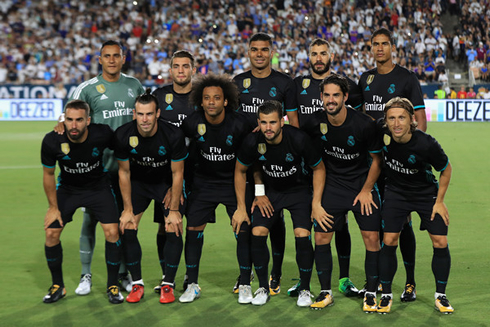 The Merengues struggled to find their rhythm all game long and Pep Guardiola's side took the chance to showcase their wide range of talents, as well as make a statement for the upcoming season. Next challenge, none other than Barcelona for the first El Clasico ever in American soil. The stage will be the Hard Rock stadium, in Miami, this Saturday evening. Just 3 days after the clash against Manchester United, the Merengues were put another Manchester side in front of them, this time Pep Guardiola's Man City. Zinedine Zidane only made a couple changes to his side, bringing on Casemiro and Kovacic to his midfield and resting Toni Kroos and Lucas Vázquez. The Merengues' captain Sergio Ramos was still not called for this game but should be on the pitch against Barça. The first half was quite even, with end-to-end action and several good opportunities to break the deadlock. Real Madrid had their best chances in a good shot from Isco blocked by Ederson and a header from Casemiro that slammed against the post, while the Citizens saw Keylor Navas denying Gabriel Jesus first and then Sergio Aguero. The goalless draw prevailed in the first 45 minutes and few certainly were expecting the dominance we witnessed in the second half. Zidane only started changing his side 15 minutes after the match was resumed, but that didn't help much in terms of keeping the game competitive because Manchester City were already 2 goals up when the more regular and experienced players started coming off for the European champions. The second half was a totally diferent game. Manchester City broke the deadlock from a corner-kick play, after a first header from Stones got stopped by Kiko Casilla and rebounded to Nicolás Otamendi just a few inches away from goal. The Argentinian was not offside and smashed it into the back of the net. Seven minutes later, more precisely in the 59th minute of the game, Raheem Sterling made it 2-0 for City after a good assist from Kevin De Bruyne. The Belgiun found Sterling escaping from his marking and didn't hesitate in his passing decision, allowing the English forward to then bean Casilla with a well placed shot to the goalkeeper's nearest post. The 3-0 didn't take much longer to arrive either and just like the first goal, it was again another defender scoring it. John Stones finished off a low pass into the box to increase the gap to the European to 3 goals, as Madrid was looking way too disconnected against a more organized side. The last Citizens' goal would be scored by a 17-year old Brahím Diaz, a Spanish attacking midfielder with a very talented left foot. The game wouldn't be over until Madrid scored their "goal of honor", setting the final score in 4-1 in favor of Manchester City. The goalscorer was Oscar Arnaiz, a 19-year old Canterano. Cristiano Ronaldo next game is a pre-season fixture on July 29 of 2017 against Barcelona. You can watch Juventus live stream, Real Madrid vs Barcelona, Hertha vs Liverpool, Manchester City vs Tottenham, Arsenal vs Benfica, and Chelsea vs Inter Milan, all matches provided from our live soccer game pages.